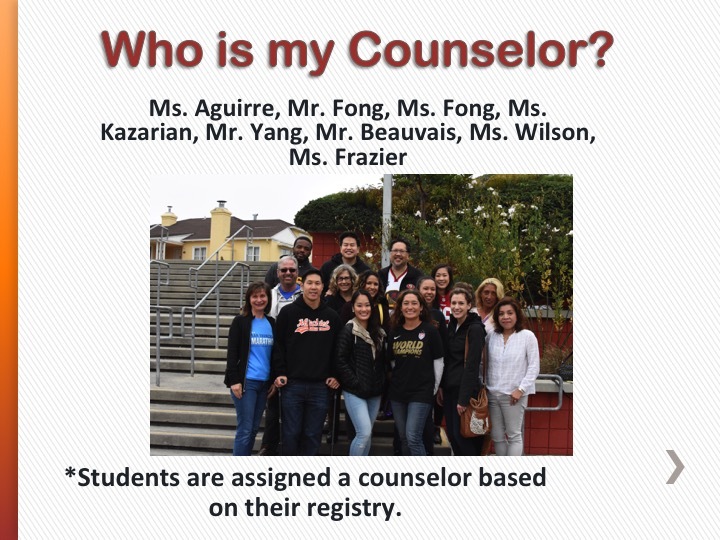 Counselors are the heart of the school. . . Academic: organizational skills, test taking strategies, time management, and adjustment from middle school. Personal/Social: self-esteem, grief and loss, peer pressure, test anxiety, conflict resolution, bullying, body image, depression, anger, relationships, drugs and alcohol, sexual identity, etc. Family: divorce, arguing, financial problems, separation, sibling conflicts, loss of family members, abuse, and other specific family situations, etc. Career: interests, hobbies, strengths, weaknesses, aspirations, college applications, financial aid, volunteer opportunities, interview skills and resume writing, etc. “My parent gets so angry when he’s been drinking."